People often use alcohol to relieve stress and help them relax. It is no wonder therefore that some of the world’s politicians in high profile jobs have ended up dependent on alcohol. Alcohol is officially banned from the Chambers in the Houses of Parliament, but tradition dictates that the Chancellor of the Exchequer is allowed to drink alcohol during his Budget Speech. This tradition seems to date back to William Gladstone, who delivered a four hour budget speech in the 1850s, and must have needed some refreshment. It was decided that alcohol was acceptable to help reduce the stress of the situation. Kenneth Clarke is known to have drunk whisky during the delivery of his speech and Geoffrey Howe drank gin and tonic, but more recent Chancellors have opted for non-alcoholic beverages. 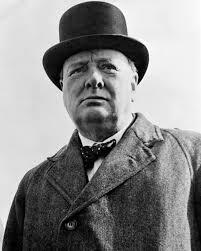 But Winston Churchill was not alone. He was just one in a long line of famous alcoholic politicians throughout the course of history, both before and after him. In the middle ages there were three taverns in Westminster, known as Heaven, Purgatory and Hell where senior politicians were often found in a drunken state. In 1783, when William Pitt the Younger was Chancellor, he vomited in Parliament during a debate behind the back of the Speaker’s chair and Lord Asquith, whose alcoholic dependency is well documented, is known to have fallen asleep during a vital debate when he was Prime Minister. In more recent times we have also seen our fair share of alcoholic politicians. Charles Kennedy, leader of the Liberal Democrats, was a well-respected and popular politician, with a great future ahead of him, having been the Liberal Democrats most electorally successful politician. But his career was hampered by a drinking problem, often appearing drunk in public, including an appearance on Question Time which left viewers very concerned for his health. Kennedy died from alcohol related health problems at the age of 55. Jean-Claude Juncker, President of the European Commission is also known to have a serious drink problem and videos of him appearing drunk in his role as President went viral during the Brexit campaign, to serve as an example of why the British people should not want to be governed by the European Parliament. What is certain is that being a high profile politician is never an easy job, but there are countless examples throughout history of famous alcoholic politicians shaming themselves in public, jeopardising or even failing in their jobs and shortening their lives through their abuse of alcohol.